Regional Western Australia is a vast and fascination place with many destinations that offer conference delegates a diverse range of experiences. The coast of Western Australia is beautiful and largely untouched unlike the eastern states where the beaches can be crowded. The food, wine and unique natural beauty of Western Australia will impress even the most world-weary business traveller or conference delegate. The South West of Western Australia, south of Perth, is a popular destination for conference organisers and meeting planners. A location like Mandurah is just 1 hour south of Perth and offers a world class waterside conference hotel, pristine waterways and a vibrant arts community. Travel a little further south and you will reach Bunbury, Busselton and world famous wine region around the Margret River. The Geographe Region, 2.5 hours south of Perth and centred on Geographe Bay and the towns of Busselton and Dunsbrough provides some fantastic coastal conference hotels, beautiful beaches, great wineries and restaurants that offer the delicious local produce. Broome is another of Western Australia's must see destinations, this coastal town is a 2.5 hour flight north of Perth. With a rich history, easy access to the amazing Kimberley region and just a few kilometres from the world famous Cable Beach, Broome and the North West of Western Australia has plenty to offer conference delegates. 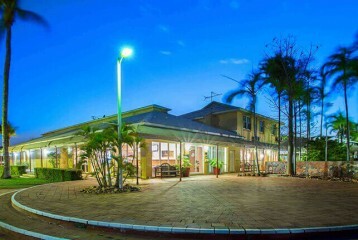 M-Power Accommodation can help you find the right conference venue in these beautiful and unique parts of Australia. The Novotel Swan Valley Vines Resort is just 40 minutes from Perth’s CBD in the centre of WA’s longest running wine region. 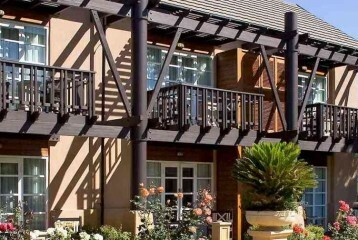 The resort’s location offers delegates access to world-class wines and micro-brewed beers, gourmet cuisine, a rich history, beautiful grounds and spas, and an abundance of leisure activities and fine arts. This is an exciting and refreshing venue that lets guests escape the rush of the city with the ease of barely having to leave it. This four star resort can facilitate meetings, seminars or training sessions for up to 300 delegates. The Sebel Mandurah is a four star waterside hotel and conference venue located in an idyllic coastal location one hour south of Perth. Mandurah features pristine natural wetlands and waterways along with restaurants and a vibrant arts community. 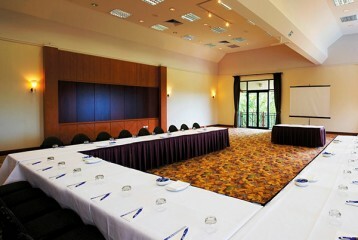 The Sebel Mandurah offers a selection of meeting rooms with natural light, superb dining and stylish accommodation. Ramada Resort and Spa Dunsborough is located on the beautiful shores of Geographe Bay just a short drive from the famous the Margaret River Wine Region and three hours south of Perth Airport. The resort offers conference rooms with natural light that can seat up to 220 delegates, quality self contained and multi-bedroom accommodation. The hotel also has direct beach access and first class resort facilities. This is a great venue for your next conference, incentive program or corporate event. A wonderful conference hotel and resort in the beautiful Margaret River wine region, just 3 hours south of Perth, Pullman Resort Bunker Bay offers a superb location for conferences, events or incentives. Conference facilities and accommodation are world class and on site dining options will impress your delegates. The Margaret River region offers lots of activities, wineries, bushland, beaches and waterways. 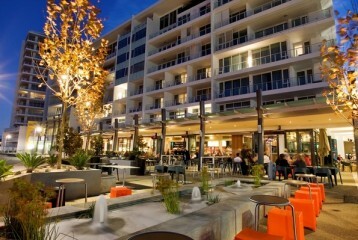 Your delegates will have a unique and memorable experience at Pullman Resort Bunker Bay. Just a few minutes from the heart of Broome and a short drive to the famous 44km stretch of sand that is Cable Beach, the spacious and ecologically sound venue at Mercure Broome offers a great location. 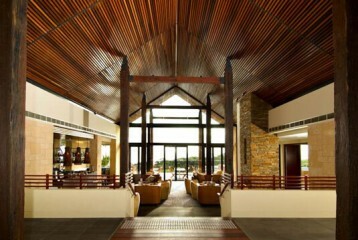 Two and a half hours flight time from Perth on Western Australia's north west coast, this is a conference hotel in a vibrant historic town that combines tropical gardens with pristine coastline and offers delegates easy access to the striking Kimberly outback.